Welcome in a new day with a gentle early morning swim in your own private swimming pool before enjoying a leisurely ‘al fresco’ breakfast and drinking in the wonderful rural views surrounding your restored stone mas; while away a sunny day basking in the sun on the patio and then take a stroll through the ancient olive groves and listen to the gentle murmur of a distant stream; relax with family and friends around an evening barbecue and watch the sun set behind distant mountains. Mostly located in quietly beautiful rural locations in the countryside of southern France and beautifully renovated to offer fabulous living space, there are mas for sale throughout Languedoc Roussillon and Provence – particularly in the Camargue and Luberon – all presenting an ideal investment opportunity for investors wanting something that little bit different. A mas is a traditional farmhouse - originally a farm producing fruit, vegetables, grain, milk, meat and even silkworms – made of local stone and built so that the property always faces away from the direction of the wind. The rear of the building is windowless and the sides of the property have very small and narrow windows to protect against the heat of the summer or the cold of the winter. A mas in Provence is almost always rectangular, with two sloping roofs, although those in Luberon can also be L shaped. A stairway, often in the centre, leads to a corridor on the upper floor, usually on the north side of the house, which opens onto the bedrooms. The upper floor also has space for storing forage for the animals and grain, and for the raising of silkworms. The mas of the Camargue is strongly influenced by the climate and the environment, and resembles a Spanish hacienda, with large spaces, white walls, an interior court and buildings in the form of a U for the residence and stables. The size of a mas depended upon the wealth and number of its original occupants: from 150 square metres to over one thousand square metres, including the barn and other structures. As the family grew larger the mas would be made longer to accommodate them. The traditional mas is now a very sought-after type of property both as a second home and for holiday rentals, and across the south of France there is a healthy supply of mas for sale in a range of sizes and locations. The larger properties – those with five bedrooms or more - offer excellent opportunities for holiday rental income with some having been converted into individual apartments or operating as a ‘bed and breakfast’. The region of Provence ranges from the snow-capped mountains of the Southern Alps to the delta plains of the Camargue, and boasts Europe’s greatest canyon, the Gorges du Verdon. Historic fortified towns guard its ancient borders, picturesque villages perch defensively on hilltops and the great cities of Arles, Aix and Avignon are full of gastronomic delights, historic wonders and cultural glories. Mas for sale in Provence can be found throughout the region for a wide range of prices depending on the size and location. All will have been restored to a very high standard using traditional materials such as wood and stone and retaining the original stone walls and high vaulted ceilings but including modern amenities such as swimming pools, large terraces with superb views and luxury accommodation including fully fitted kitchens, modern en suite bathrooms and beautifully decorated interiors. 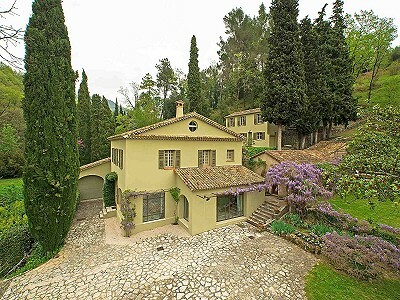 Mas for sale in Provence are found in some of the most beautiful locations in the region; surrounded by green and shady pine forests, clinging to the sides of rugged mountains or overlooking wooded valleys or wide gleaming rivers. Always facing south to protect from the mistral winds, these mas have the most wonderful views and provide an ideal location to simply relax, soak up the sunshine and enjoy the peace and tranquillity of rural France. Prices range from around €500,000 to over €1.5m for the larger properties with more land. Bordering Provence, Languedoc Roussillon is an undiscovered gem of a region ranging from the breathtakingly beautiful Mediterranean coastline to the rugged snow-capped mountains of the Pyrenees. It has some of France's best cuisine, a rich medieval history and historic cities such as Carcassonne, Narbonne and Nîmes. Mas for sale in Languedoc Roussillon again vary enormously depending on your budget and taste but typically can be found dotted throughout the rural landscape in picturesque and tranquil locations. Although the region is typically cheaper than neighbouring Provence, the continuing healthy demand for top quality mas have kept prices relatively high. 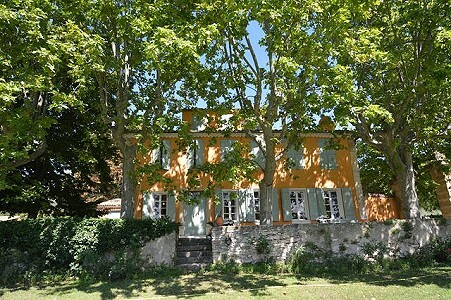 For example an 18th Century mas near the walled city of Carcassonne with four bedrooms, swimming pool and an outside dining area and surrounded by ancient woodland and orchards would cost in the region of €700,000 which is comparable to Provence although there are cheaper properties also available for around €200,000 - €350,000 although these are typically smaller with less land. Mas are special; evoking the traditions and romance of a bygone era yet providing all the convenience and luxury of modern day living, they are becoming increasingly popular as an investment both as a residence and also as holiday rental accommodation. There are mas for sale in some of the most stunning and remote areas of France and for the wise investor, these unusual properties can provide an excellent investment opportunity.